As a 10 year old, Bria Foster found her passion for the outdoors through the Fishin’ Buddies program at Beaubien Woods on Chicago’s Far South Side. There she learned about the Forest Preserves of Cook County, the joys of nature and the importance of conservation. Then as a high school student, she became a Youth Outdoor Ambassador and Student Conservation Association intern, which gave her practical jobs skills and the chance to find her calling. Today, Bria is a confident 23 year old with a degree from Dillard University. She's back doing work that she loves, working part time in the Forest Preserves. She's focused on helping to keep the Preserves ecologically healthy and inviting. Her next goal is to land a full-time career in conservation. She also wants to continue to be an inspiration for other young people who take part in the Conservation Corps program. “When people come on the trails and thank us for our hard work, that means the most to me,” Bria says. 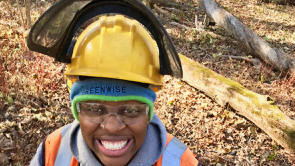 Bria’s story is one of many we could tell you about the Conservation Corps interns. It’s because of your generosity that Bria, and many others, have been able to connect with our great outdoor treasure, the Cook County Forest Preserves. The Foundation’s support of the Conservation Corps is an investment in tomorrow. We know that talented and enthusiastic Corps alums like Bria are committed to taking good care of the Preserves. We are committed to reaching the Forest Preserves’ restoration goals through the active participation of the next generation of conservationists. 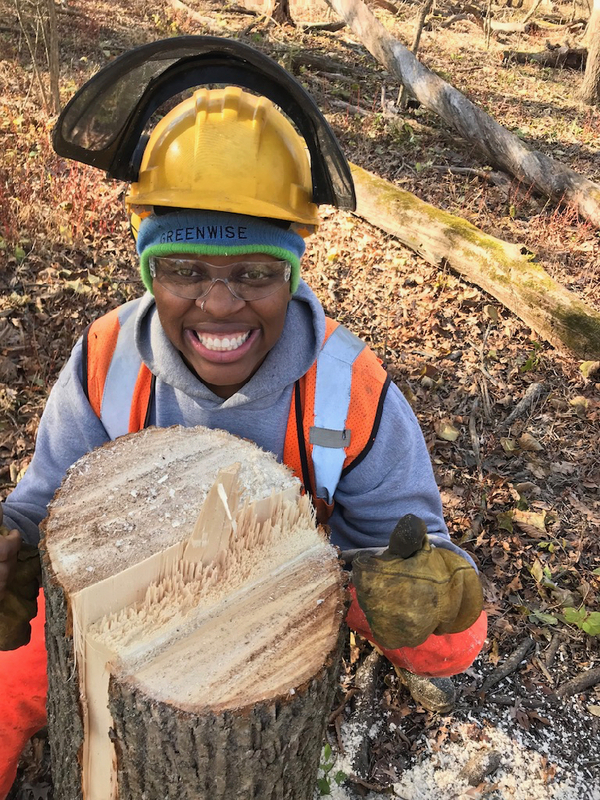 Your gift today can make a difference for young women and men making career choices, for families stepping into the wonders of nature, for children exploring natural habitats—for everyone nature invites to experience the beauty of the Forest Preserves.